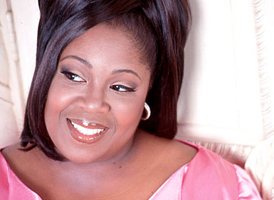 Cherisse Stephens is a native of Buffalo, New York where she began singing at a very early age. By age 7, she was performing for conventions, youth crusades and other events. Soon after people began to discover the warmth and anointing that came across as she ministered in song. In her early 20's she joined the gospel group Charisma and a month later was signed to the Savoy Gospel label. They soon began to travel the world and share the stage with many gospel artists. 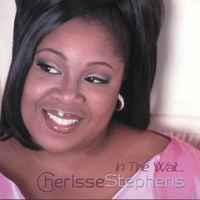 In 1997, the Lord blessed Cherisse to record her first solo project entitled, "Due Season". The talented Christopher Brinson of the Malaco label produced this CD. With this release, Cherisse was in demand and traveled throughout the United States and abroad. Her second album, In the Wait was released in 2002. Cherisse has been nominated and given awards by Upscale Magazine, Atlanta Gospel Choice Awards, American Gospel Music Awards and many others. She has also been blessed to share the stage with many recording artists such as Yolanda Adams, Byron Cage, Smokie Norful, Shirley Caesars, Kelly Price, Hezekiah Walker and many more. Evangelist Stephens has also appeared on television for networks such as BET, The Word Network, Trinity Broadcasting Network (TBN), Channel 57, and other networks. She has been blessed to minister for organizations such as The National Church Of God In Christ (COGIC), Full Gospel Baptist Church Fellowship (FGBCF), Mt. Calvary Holiness Churches Of America and AME Churches as well as non-denominational organizations.